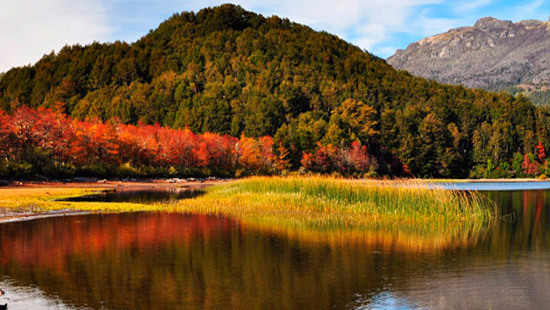 Tierra del Fuego Nacional Park is located 11 km far from Ushuaia City. We depart from Ushuaia by bus to the west, along National Route Nº3. The first stop is at the End of the World Train Station. 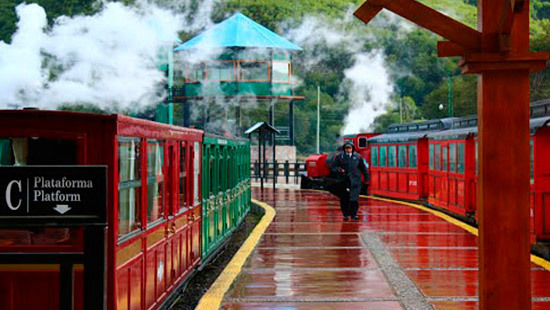 Passengers will be able to take the train ride as an optional activity. The tour continues inside the park with a combination of bus rides and walks. Different from other parks, it combines the ocean, forests and mountains. 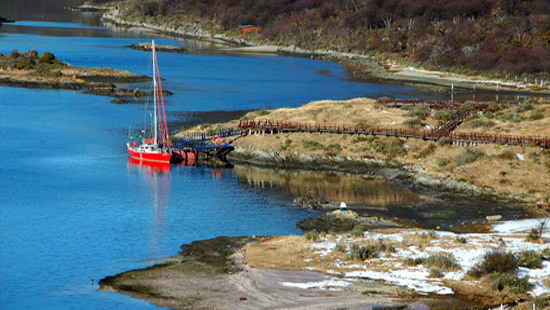 Inside the National Park we find the biological richness of the Tierra del Fuego Island with its beautiful scenery. The forest is formed by lengas, guindos, ñires and valleys of peat and lichens. 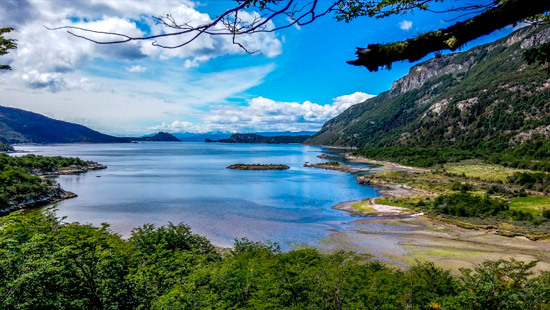 Ensenada Bay, Roca Lake and Lapataia Bay (the end of the Pan-American Highway which connects Alaska and Tierra del Fuego) give color to this unique place where we can still find reminders of the ancestral inhabitants: the yámanas. This tour can be taken every day and all the year long either in morning or in the afternoon. 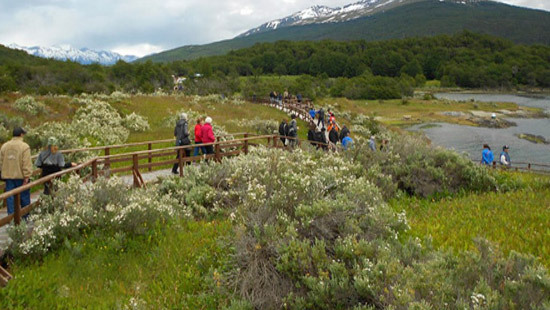 This National Park is situated 11km away from the city of Ushuaia, west along National Route #3. It was created in 1960 with the objective of protecting the southernmost portion of the sub-Antarctic forest. It covers an area of 63,000 hectares. What makes it different from other National Parks is that it combines the coast, forest and mountains. 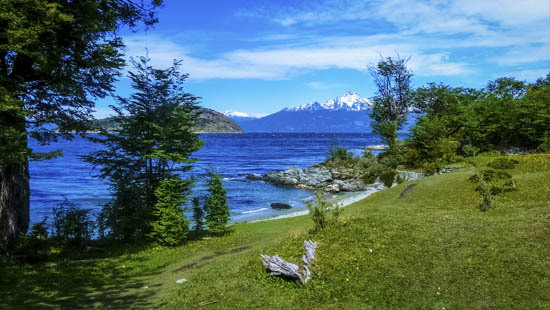 Within the Park you will be able to see the combination of the natural wealth of Tierra del Fuego Island with its beautiful landscapes. About the fauna we can mention that you may be able to see some Red foxes, guanacos, marine otters, marine upland geese, ducks, Patagonian woodpeckers and more than 90 species of birds are part of the Fuegian Fauna that can be found in the park. Beavers and rabbits can also be found although these were introduced to the island and are not native animals. The park offers a typical glacial landscape, which alternates between deep valleys full of rivers and lakes and mountain ranges running from northeast to southeast. Forests of lenga, guindo and ñire trees (a variety of beech tree) and a forest floor of lichens, plants and peat bogs give colour to unique places such as Ensenada Bay, Lake Roca and Lapataia Bay, where there are still traces of the original inhabitants of the region: The Yamanas Indians.